As you already know if you follow Cher on Twitter (if you don’t, why deprive yourself like this? ), she’s been hinting at an ABBA music project in the lead up to the release of Mamma Mia! Here We Go Again. 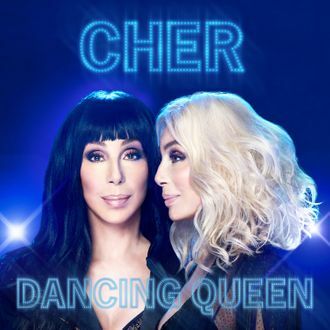 Today Warner Bros. Records announced the upcoming arrival of Cher’s Dancing Queen, a full album of ABBA covers, will drop on Friday, September 28. Yesterday Cher tweeted a teaser version of Gimme Gimme Gimme! (A Man After Midnight) and, oh, Donna would have just loved this whole thing. You can check out the album’s full song list below. Spoiler alert: Cher’s singing the hits!